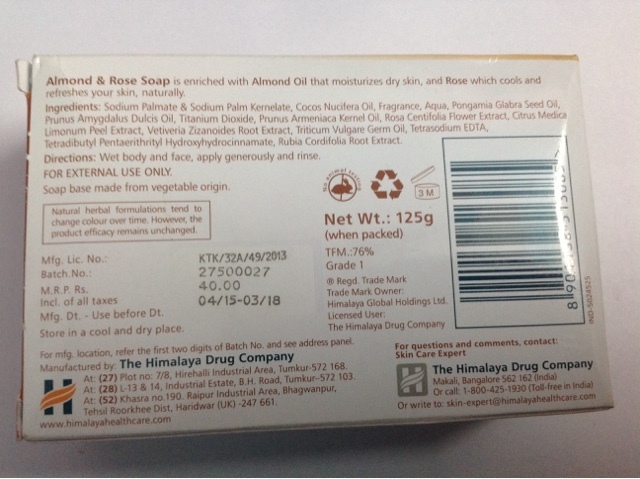 Dry skin is a common issue in winters and putting a lot of creams and lotions is not enough in winters.Soaps can further rob the skin off moisture yet I being a soap loving traditional person ,ventured out to try another soap - The Himalaya almond and rose soap . 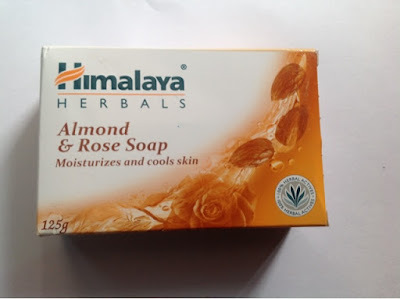 The Himalaya almond and rose soap calims to moisturise and cool our skin. 4. Refreshes and moisturises - I found that it cleanses my skin like any other average soap bar and does not feel drying . 5. Has a very pleasant but delicate flowery and nutty smell .It does not linger for long though . 1. It does not foam easily , takes a lot of rubbing to give lather , maybe that is to reduce the drying effect but It does feel time consuming . 2. It does not dry the skin much but is not moisturising either . FINAL VERDICT - I am not going to repurchase it because other than the fragrance ,it is an average performer in terms of cleansing and moisturisng . 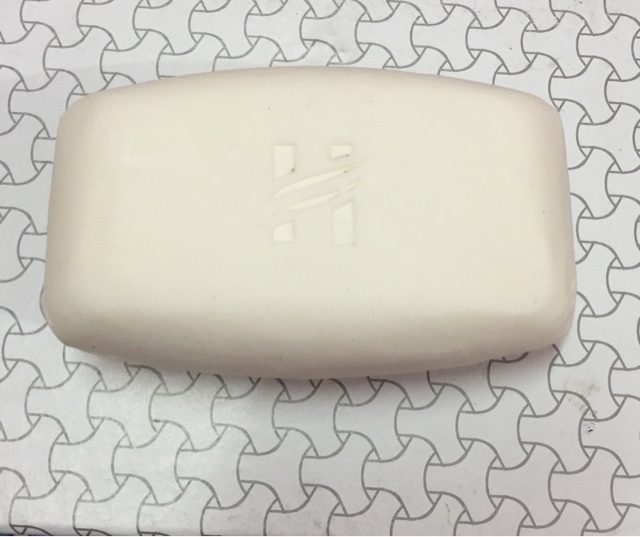 Otherwise it is a great- smelling , good everyday soap . Nothing luxurious about it . It would be foolish to expect luxury at such a cheap price anyways . For the above reasons I rate it a 3/5 . 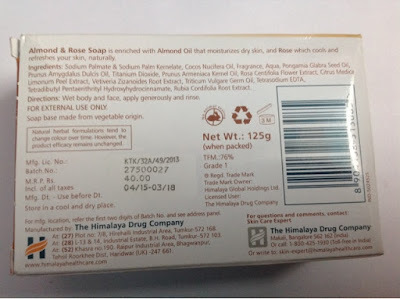 I feel brands like Himalaya and Patanjai will take over corporate brands for products like Cosmetics and basic Hygiene. Patanjali surely is growing by leaps and bounds !